They cannot be that stupid. Really, they cannot be that stupid. Georgia Democrats can't be stupid enough not to run background checks on their paid staff. Those thoughts ran through my mind as I saw the long criminal history of Georgia Democratic Party political director Ali Rashad Richey. Well, the Democrats in this state are that stupid. Democrats in Georgia paid over $75,000 to an individual who was arrested twelve times between 1998 and now. To be exact, Gail Buckner, Carol Porter, and the Democratic Party of Georgia paid $75,626.65 to an accused lawbreaker. 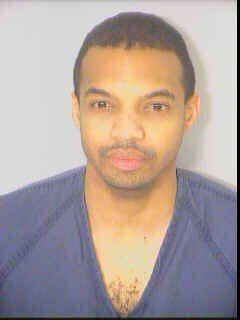 Court and arrest records, in both Fulton and DeKalb counties, show that Ali Rashad Richey likes to break the law. In 2006, for example, Richey was arrested and charged with burglary, criminal damage to property in the second degree, and criminal trespass. The Fulton County Sheriff's Office shows that, on June 7, 2006, entered the county jail and was assigned booking number 0619479. Pictured left is Rashad Richey's mugshot from the time he was was booked into Fulton County's jail. Rashad Richey, the political director for the Democratic Party of Georgia, was charged with unlawfully entering a person's property, remaining on that person's property without permission, and either causing more than $500 worth of damage to that person's property or damaging that person's property with fire or explosives. The state law statutes Richey was accused of violating are O.C.G.A. § 16-7-21, O.C.G.A. § 16-7-23, and O.C.G.A. § 16-7-1. The person directing politics for Democrats in Georgia did a little time. Ali Rashad Richey, the person in charge of making political decisions for Georgia's Democratic Party, has a history of making poor personal decisions. Surely Democrats in this state can do better.